Experience the freedom that comes with driving. And we'll help you stay safe. Our children are precious cargo. You felt that way when you brought them home for the first time. And you still feel that way today. I understand that. I'm a business owner...but I'm also a mom. You can count on me to teach your son or daughter the rules of the road and how to handle a vehicle. But you can also trust me to help keep them safe. Oh - and by the way, I love teaching adults to drive as well. Because everyone is precious cargo to somebody. 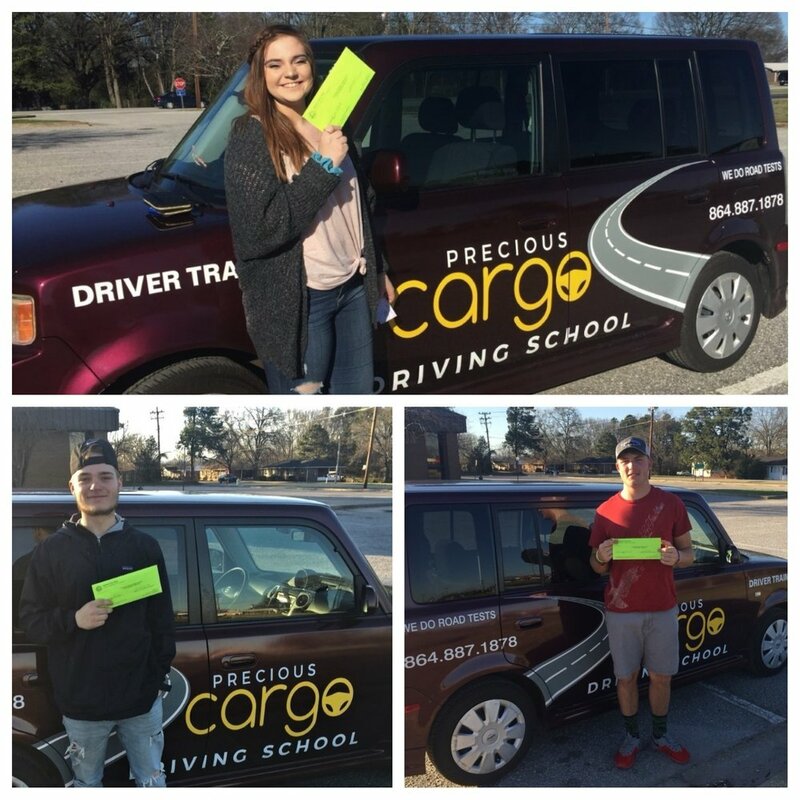 At Precious Cargo Driving School, we give you knowledgeable instruction and competent training in the operation of a motor vehicle. Maybe for you, driving a car is going to be a must...a lifeline to school or to work. Or perhaps your vehicle will represent fun and freedom...allowing you to meet up with friends, go on dates, or just do the things that make you happy - on your timetable. Whatever your reason for wanting to learn to drive, Precious Cargo Driving School exists to help you obtain that goal. We'll teach you how to operate your vehicle safely, how to understand traffic rules and stay on the right side of the law, as well as how to see, think and respond in a way that minimizes risk and helps you arrive alive. A key component at Precious Cargo is that we actually care about our students. You're not a number to us; we get to know you as a person and become invested in your story. Helping you accomplish your goal becomes our mission. A personal touch from a caring instructor...that's the 'PC' difference. DRIVER'S ED CLASSROOM INSTRUCTION - This class is geared towards "Defensive Driving". This is the 8 hour class that is required for students ages 15 and 16. This is also the class required to qualify for the insurance discount certificate. Older students welcomed! There will be two 3-hour driving lessons. We teach our students in a Scion XB equipped with a dual brake. We are certified to give the skills test for a South Carolina drivers license. We are not allowed to test anyone that has previously held a driver's license within the US. We offer adult lessons. We will start with a two-hour training session, and can schedule more time if needed. WE ARE DMV LICENSED, BONDED AND INSURED. The total cost of the 8-hour Classroom Instruction and 6 hours of Behind-the-Wheel Training is $300 ($180 is paid at the time of the class, and $60 is paid at each of the two 3-hour behind-the-wheel lessons). The DMV Approved Road Test, using a Precious Cargo Driving School car and examiner costs $40. Our Fast Pass Training - we complete your training in one week. (only for those who've completed 40 hours of behind-the-wheel training by a parent or guardian) costs $40. Students ages 15&16 are still required by SC law to complete the 8 hour class and 6 hours of behind-the-wheel training. Adult Driving Lessons are $100 per two-hour training session.